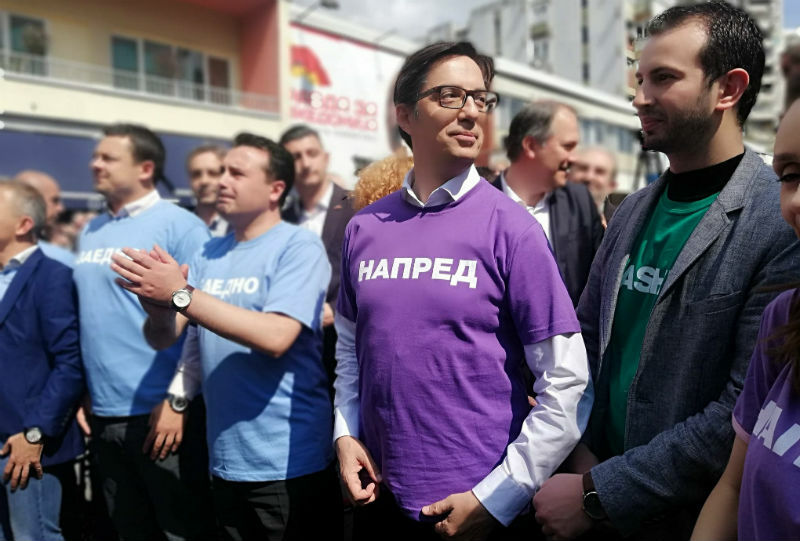 Ever since we declared independence, there has been only one way that leads to progress, and that is through the EU and NATO, SDSM’s presidential candidate Stevo Pendarovski said speaking at the main rally of his campaign, held in front of the EU Info Center in Skopje. 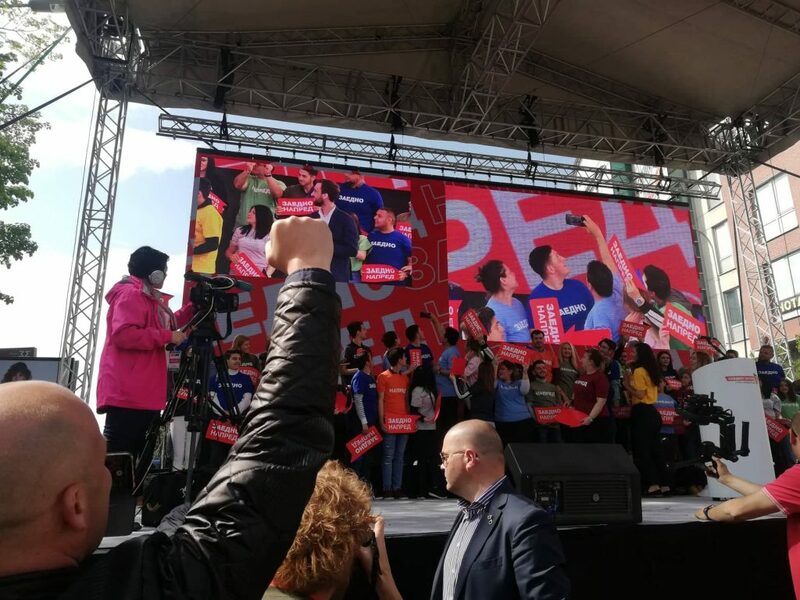 “We have no more generations to lose, which is why we won’t allow the political opposition to derail us… I’m not seeking your support only to become the next president, instead, I’m seeking support for the concept of the future, the concept of one society for all,” Pendarovski said. Pendarovski said he was prepared to be a president ‘in every sense of the word’, noting that his program consisted of eight key projects that would be launched in the first eight months of his term. 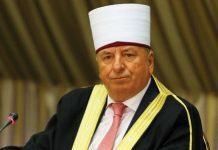 In his speech, he mentioned the agreements with Bulgaria and Greece, saying they set ‘an example in the region and around the world’, because they had marked the end of decades-long issues, solved in the interest of the state and the citizens. 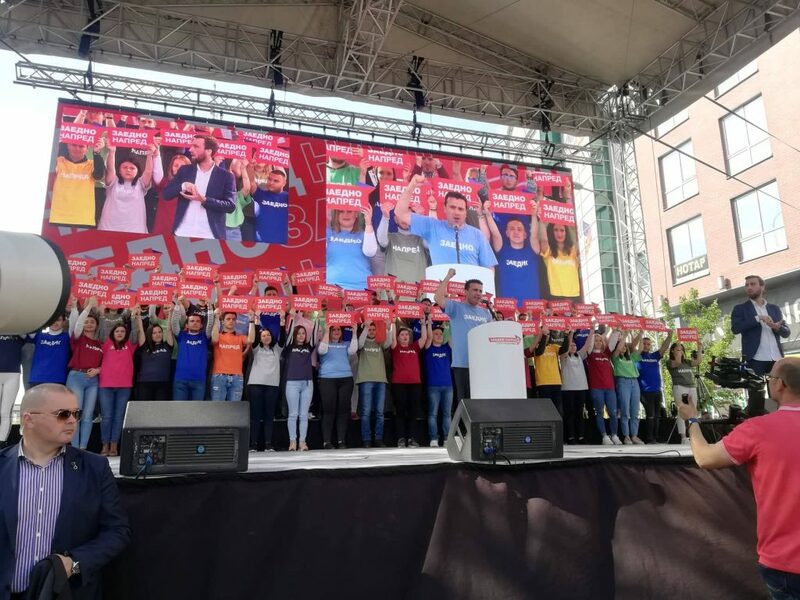 Speaking at the rally, Zaev publicly called on opposition leader Hristijan Mickoski to condemn the policy of his predecessor Nikola Gruevski. 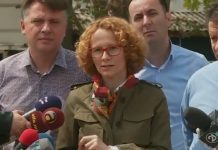 “We haven’t heard a word from Mickoski and Siljanovska about the 11-year rule of their mentor.” Gruevski fled to Hungary last year, where he was granted political asylum.